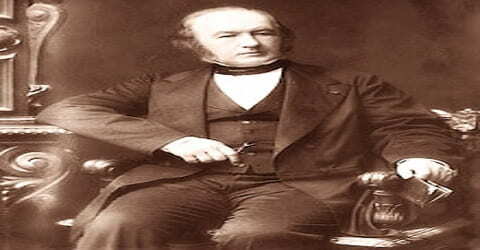 Claude Bernard – French physiologist. A French physiologist known chiefly for his discoveries concerning the role of the pancreas in digestion, the glycogenic function of the liver, and the regulation of the blood supply by the vasomotor nerves, Claude Bernard was born on 12th July 1813 in the village of Saint-Julien near Villefranche-sur-Saône, France. Widely credited as one of the founders of experimental medicine, he played a vital role in laying down the basic rules of experimentation in the life sciences. On a broader stage, Bernard played a role in establishing the principles of experimentation in the life sciences, advancing beyond the vitalism and indeterminism of earlier physiologists to become one of the founders of experimental medicine. His most seminal contribution was his concept of the internal environment of the organism, which led to the present understanding of homeostasis i.e., the self-regulation of vital processes. It is not a surprise that Harvard University’s famous History of Science professor I. Bernard Cohen has called him “one of the greatest of all men of science” and that has a lot to do with his Claude Bernard’s contribution in varied fields of science. As a matter of fact, it is also often noted that Bernard was the first to lay down the rules for conducting experiments when it comes to life science and it is for this reason that he is regarded as one of the greatest scientists; having laid the foundations for experimental medicines. Throughout his life, Bernard continued to experiment with theories related to the life sciences and came up with discoveries that would prove to be inordinately beneficial to the study of the medical sciences. As a matter of fact, Bernard was the first to show the relation between the pancreas and digestion while on the other hand he also showed how the vasomotor nerves were responsible for blood supply. Read on to know more about his life and works. Bernard received his early education in the Jesuit school of that town and then proceeded to the college at Lyon, which, however, he soon left to become assistant in a druggist’s shop. Although he is sometimes described as an agnostic or even an atheist, Bernard was a fervent Catholic, with a biographical entry in the Catholic Encyclopedia. His leisure hours were devoted to the composition of a vaudeville comedy, and the success it achieved moved him to attempt a prose drama in five acts, Arthur de Bretagne. In 1845, Claude Bernard married Marie Françoise “Fanny” Martin for convenience; the marriage was arranged by a colleague and her dowry helped finance his experiments. The marriage was an unhappy one which eventually ended in separation. The couple had two daughters. Even though this famous personality was educated at a Jesuit institution Bernard was an agnostic in his beliefs. Claude Bernard tried his hand at playwriting during his spare time as a pharmacist’s apprentice but by 1834 he had decided to study medicine. He enrolled in the Faculty of Medicine in Paris and passed his internship exam. Bernard then worked in Paris hospitals and became a research assistant. He wrote a playlet, La Rose du Rhône, now lost, and then began writing Arthur de Bretagne, a historical drama in five acts. In 1834, Bernard came into contact with the great doctor Francois Megandie and after coming through in an examination for internships he was appointed as an intern under Megandie at the ‘College de Paris’ in 1841. He worked in conjunction with Francois Megandie on studies in relation to spinal nerves and in 1843 he came up with his first dissertation that dealt with the role of the gastric juice when it comes to digestion. In 1847 Bernard became Magendie’s deputy at the Collège de France. This period was marked by a veritable explosion of discoveries, beginning in 1846, when Bernard solved the mystery of the carnivorous rabbits. Puzzled one day by the chance observation that some rabbits were passing clear not cloudy urine, just like meat-eating animals, he inferred that they had not been fed and were subsisting on their own tissues. He confirmed his hypothesis by feeding meat to the famished animals. An autopsy of the rabbits yielded an important discovery concerning the role of the pancreas in digestion: the secretions of the pancreas broke down fat molecules into fatty acids and glycerin. Bernard then showed that the principal processes of digestion take place in the small intestine, not in the stomach as was previously believed. In 1851, Bernard had first decided to work on the concept later known as homeostasis that explained the regulation of blood vessels by the vasomotor nerve and a few months into that year he came up with the momentous discovery. In the year 1854, he joined the celebrated French university ‘Sorbonne’, which had specially created a chair for him in physiology and it was in that same year that he was inducted into the ‘Academy of Sciences’ through a voting process. In 1856 Bernard discovered glycogen, a white starchy substance found in the liver. He found that this complex substance was built up by the body from sugar and served as a storage reserve of carbohydrates that could be broken down to sugars as needed, thereby keeping the sugar content of the blood at a constant level. Bernard’s discovery showed that the digestive system not only breaks down complex molecules into simple ones but also does the opposite, building up complex molecules from simpler ones. Simultaneously, he was nearing his third great achievement explanation of the regulation of the blood supply by the vasomotor nerves. He discovered in this regard that the vasomotor nerves control the dilation and constriction of blood vessels in response to temperature changes in the environment. His field of research was considered inferior at the time; the laboratory assigned to him was simply a “regular cellar”. Some time previously Bernard had been chosen the first occupant of the newly instituted chair of physiology at the Sorbonne, but no laboratory was provided for his use. After a fruitful sting at Sorbonne, Claude Bernard left the university in 1868 and instead became a professor at the ‘Museum of Natural History of the Jardin des Plantes’. At the same time, Napoleon III established a professorship which Bernard accepted, leaving the Sorbonne. In the same year, 1868, Bernard has also admitted a member of the Académie française and elected a foreign member of the Royal Swedish Academy of Sciences. 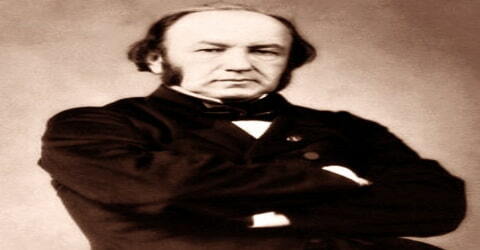 Claude Bernard also conducted important studies on the effects of such poisons as carbon monoxide and curare on the body. He showed that carbon monoxide could substitute for oxygen and combine with hemoglobin, thereby causing oxygen starvation. His experiments with curare showed how this dread poison causes paralysis and death by attacking the motor nerves while having no effect on the sensory nerves. He demonstrated that, because of this selectivity, curare could be used as an experimental tool in differentiating neuromuscular from primary muscular mechanisms. While Bernard was working at the laboratory of Francois Magendie at the Collège de France, he wrote his legendary phrase “The constancy of the internal environment is the condition for a free and independent life”. This laid the groundwork for modern homeostasis by presenting the concept of the internal environment of the organism. He was one of the earliest physiologists to explain the role of the pancreas in digestion, as well as the glycogenic function of the liver. Bernard also extensively worked on the regulation of the blood supply by the vasomotor nerves. 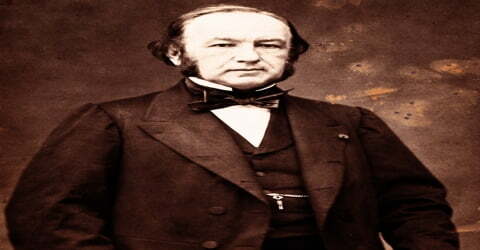 The eminent scientist, Claude Bernard died on the 10th of February, 1878 at the age of 64 due to complications originating from an inflamed kidney. He was accorded a public funeral an honor which had never before been bestowed by France on a man of science. He was interred in Père Lachaise Cemetery in Paris. Claude Bernard’s most important and major contribution to the world of science remains the new approach to experimental methods that he undertook after his mentor Francois Megandies’ death in 1855. It depended on a guiding principle for experiments rather than empirical methods. Bernard formulated the principle of scientific determinism, which states that identical experiments should produce identical results. His famous work, “Introduction to the Study of Experimental Medicine” published in 1865 was influential in bringing about the use of animal testing for physiological research. It remains one of his most important contributions to scientific literature.